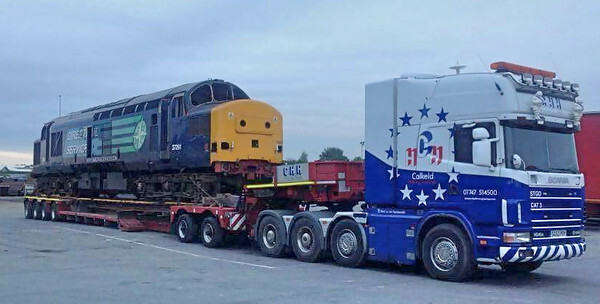 The restoration of Class 37261 by the Scottish Class 37 group and the Bo'ness Diesel Group. Last update : 10 photos, 5th February to 27th March 2019. 37261 en route from Barrow Hill to Bo'ness . This might sound a daft question but are they stripping the power u it to asses it’s condition or for reusable parts?